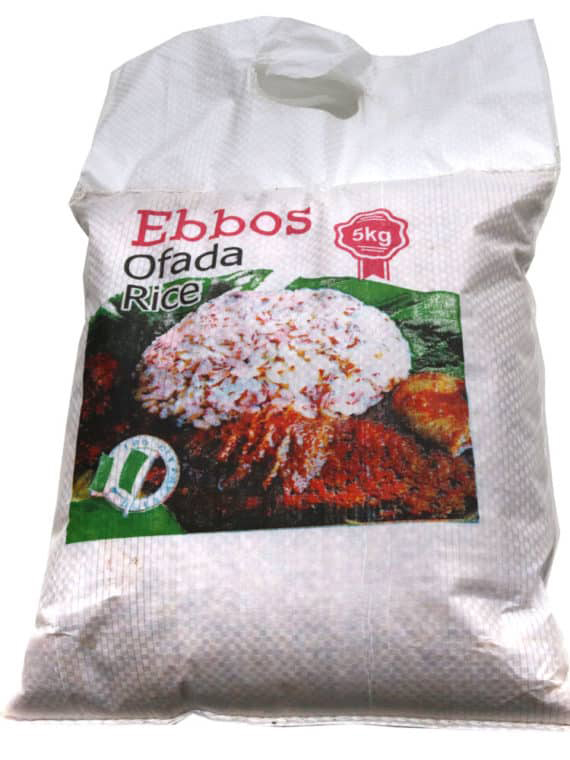 Ebbos ofada rice is brown and hygienically processed/packaged for people of class and taste. Ebbos ofada rice is unpolished. It is known for increased size when cooked and very unique in taste.